Fresh tremors were felt today in Nepal, and across north and east India, a day after a quake devastated the neighbouring country and affected parts of India. The aftershocks measured 6.7 in the Richter scale according to United States Geological Survey -- the epicenter was Kodari, around 80 km east of Kathmandu. Soon after, the defence ministry, which is helping with the relief and rescue operations in Nepal, suspended vehicular and air traffic there. "All movement to Kathmandu kept on hold till 16.00 (4 pm) due to fresh tremors in Nepal," tweeted a spokesperson of the Defence ministry. The Kathmandu airport shut down as the air traffic controllers evacuated. The IndiGo, SpiceJet flights that were to land in Kathmandu, were turned back. Private airlines had resumed flights to Kathmandu this morning. In India, besides Delhi, the tremors were also felt in Lucknow and Jaipur. And in Bihar, where more than 50 people died in yesterday's earthquake, the tremors were pronounced and went on for several minutes. In Delhi and Kolkata, metro services were stopped temporarily. Climber Jim Davidson said he felt the aftershock at the Camp One on Everest. "Just had our biggest aftershock yet here at C1 on Everest. Smaller than original quake but glacier shook & avalanches," he tweeted. Giving details of the aftershocks, GL Gautam, director of the Indian Meteorological Department, said, "More aftershocks will follow... This will continue for weeks... northern India would not face much of a problem." Yesterday's earthquake, which measured 7.9 on Richter scale, killed more than 2,200 people in Nepal and 62 in India and led to widespread devastation. 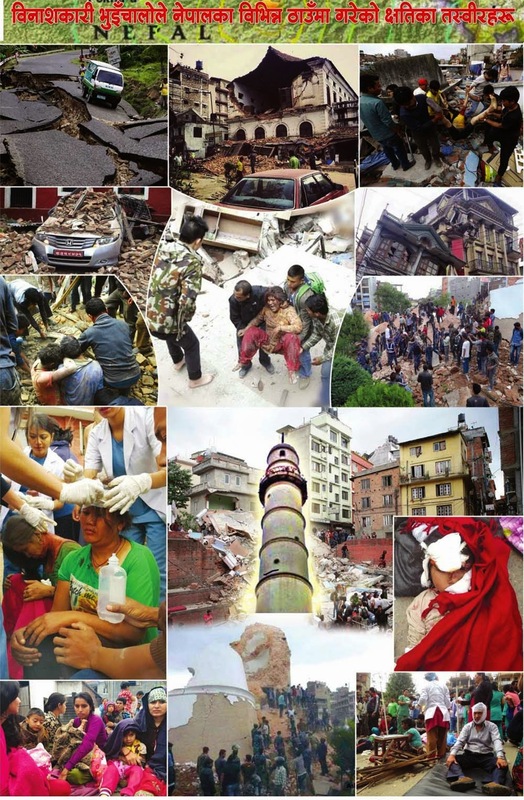 Thousands of people were displaced in Nepal, roads developed huge cracks, old buildings were flattened. The aftershocks remained mild, but panic-stricken people spent the night under the open sky.